Hinged French doors and sliding doors are the two main patio door styles available today. The former exudes traditional aesthetic, while the latter is more modern and minimalist in design. But what if you want a French door that slides open? You can have the best of both worlds with Frenchwood® sliding patio doors from Renewal by Andersen®. Read further to learn about the benefits of this product. Whether you have a traditional- or a modern-style home, the Frenchwood sliding patio door will enhance both your indoor and outdoor living spaces. Both the interior and exterior come in a wide variety of colors and finishes, including options such as pre-finished white and three stainable wood finishes—maple, oak and pine. Frenchwood sliding French patio doors feature frames with a rigid vinyl sheath. This component protects the whole fixture against the elements. It also makes the door low-maintenance. Traditional French doors swing open on a hinge, which means they require floor space to operate. This makes them inconvenient for small or cramped spaces. Frenchwood sliding French doors, however, slide open on durable track rollers just like regular sliding patio doors. This makes them a perfect option for homeowners who want the classic elegance of the French door design, but lack the square footage in their home to accommodate a hinged French patio door. 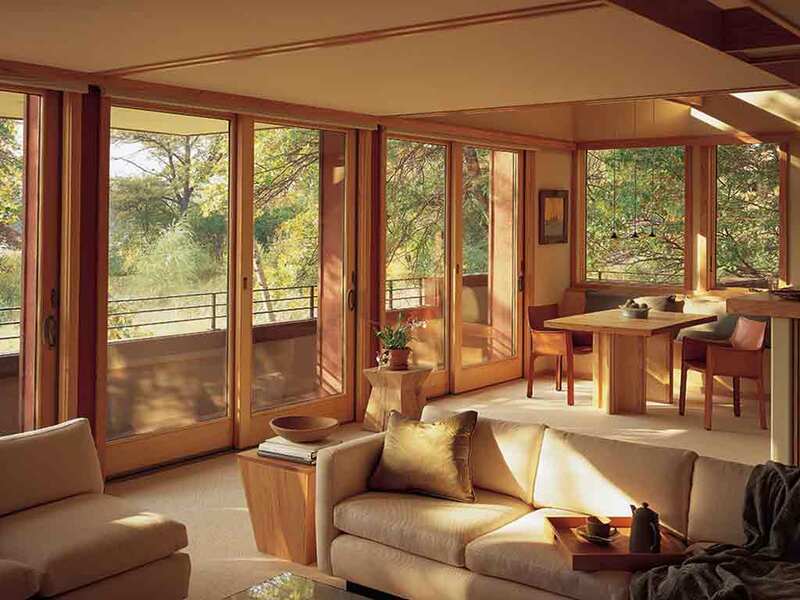 French wood sliding doors are also extremely energy-efficient and are backed by strong warranties. For your next home improvement project, turn to Renewal by Andersen® of Dallas/Fort Worth for a wide selection of replacement windows and patio doors. Call (877) 605-2922 today. You may also fill out our contact form for a free, in-home consultation. We serve residents living in and around Dallas, TX.